#38 on my Life List is 'Do a florist course and add more flowers to my life'. 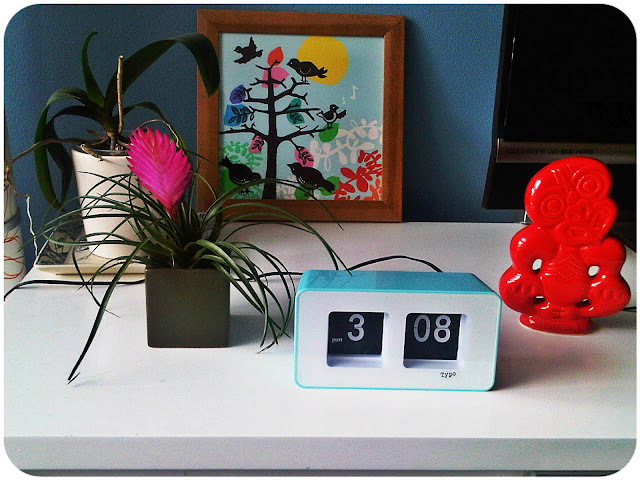 It is now Autumn here in Australia, so I wanted to buy some indoor plants that would add colour to my house, as the days are getting shorter and colder very quickly. So yesterday I went about tackling #38, 'adding more flowers to my life'. On my shopping trip I discovered some amazing and unique plants that I just had to have! I ended up buying 6 plants which came within my $50 budget that I was given (I tend to go over board when I visit the garden centre, so I need limits!). 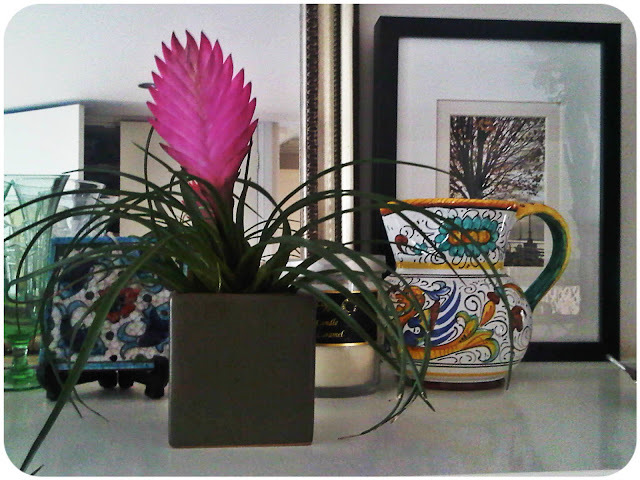 The most striking plant I bought was the Pink Quill. It is a member of the Bromeliad family, it gets its name from the plume of bright pink 'feathers' that apparently last for months. The plant is from Ecuador and has small roots, which are used to anchor itself onto trees. Because the roots don't drink up water, these plants gather moisture and nutrients through their leaves. So hopefully they are harder to kill? I also read that the Pink Quill needs a lot of filtered sun light so I moved it from the top of my bookshelf to the TV entertainment unit which is near our large living room window (see picture below). I also found some cute Mini Cymbidium orchids. As you know I have a love of orchids and #18 on the Life List is 'set up a greenhouse to grow orchids'. 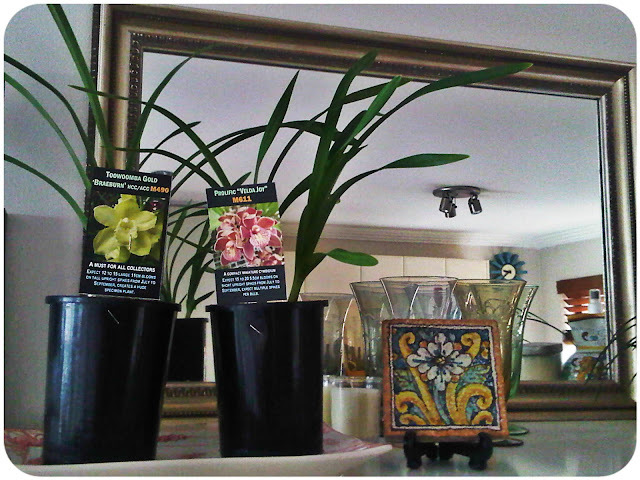 Given they were inexpensive at $8 each, I thought I would give growing these orchids a go. On the label it says that I should expect 12-20 blooms from July to September and I should expect multiple spikes per bulb. Both the Cymbidium and Pink Quill are originally from a nursery called the Collectors Corner, they seem to specialise in rare and unique plants. 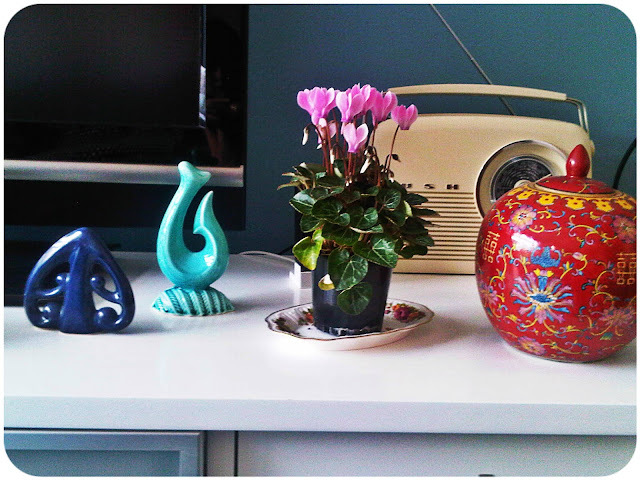 I also bought some mini Cyclamens. I grew up with Cyclamens throughout the house. 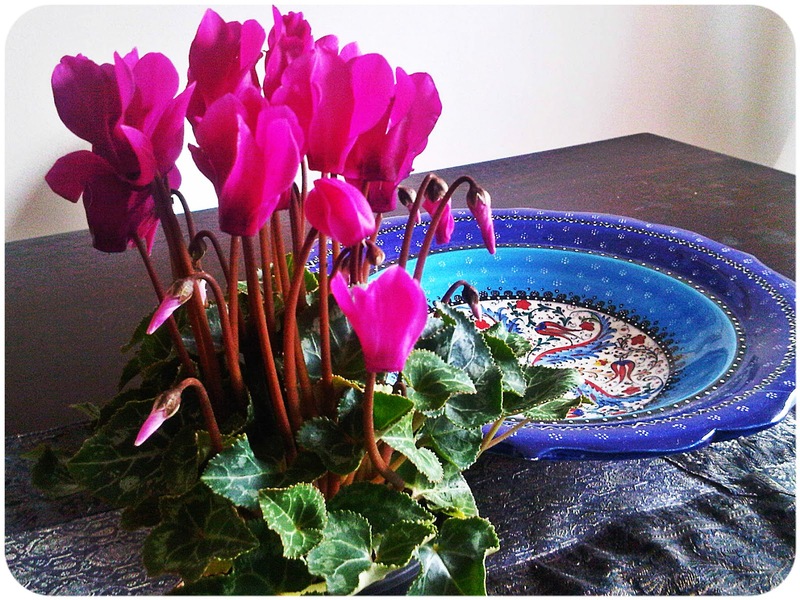 They are a beautiful flower to have in winter as the produce so many flowers and brighten any room they are in. 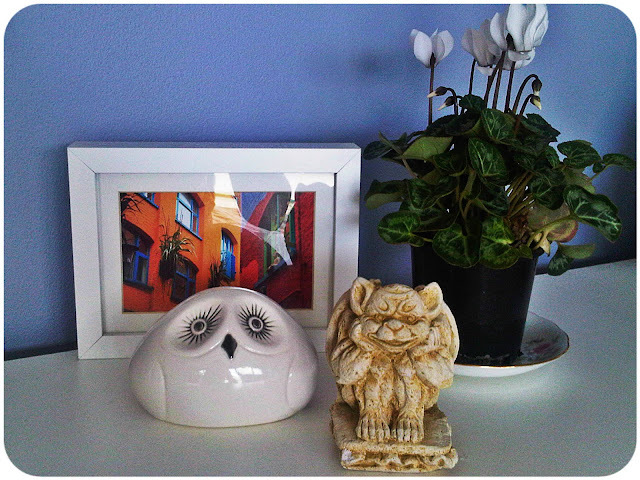 What I do need to do now is find some decorative pots to put these plants in. I couldn't find any I liked or fit at the Garden Centre. Hence why they are all still in their ugly plastic containers. ﻿Hopefully I don't kill any of these plants.